Should I Stay Away From Gluten? There are many reasons to avoid gluten. Though some individuals may just face small allergic reactions, such as skin rashes, it is necessary to avoid it completely if you are non-celiac gluten sensitive. The general name for the protein found in wheat, rye, barley, and triticale is known as gluten. This element acts as a binding force that holds the food together. There are a lot of foods that contain gluten such as bread, baked goods, soups, pastas, salad dressings, malt, food colorings, cereals, and the like. Gluten is also found in some food items that one would think is devoid of gluten like certain types of ice cream and potato chips. Some individuals suffer from gluten intolerance, especially those who have celiac disease. This disease is an autoimmune disorder that occurs in genetically susceptible people, where gluten ingestion damages the small intestine. However, there are some who do not have celiac disease, yet still face certain allergic symptoms from consuming gluten. This is known as non-celiac gluten sensitivity. Research conducted by Celiac Central points out that non-celiac gluten sensitivity is an innate immune response. This means that the response does not direct towards the tissue and lead to the autoimmune disease. There are many reasons to avoid gluten. Though some individuals may just face small allergic reactions, such as skin rashes, it is necessary to avoid it completely if you are non-celiac gluten sensitive. This is because of the fact that it is very easy for some individuals who are mildly intolerant to gluten to develop celiac disease. Gluten exposure in celiac disease affected people causes the immune system to slowly weaken. When this happens, it leads to various nutrient deficiencies, anemia, fatigue, and the onset of other chronic disorders. When individuals are diagnosed with celiac disease, they must be put on a gluten-free diet. 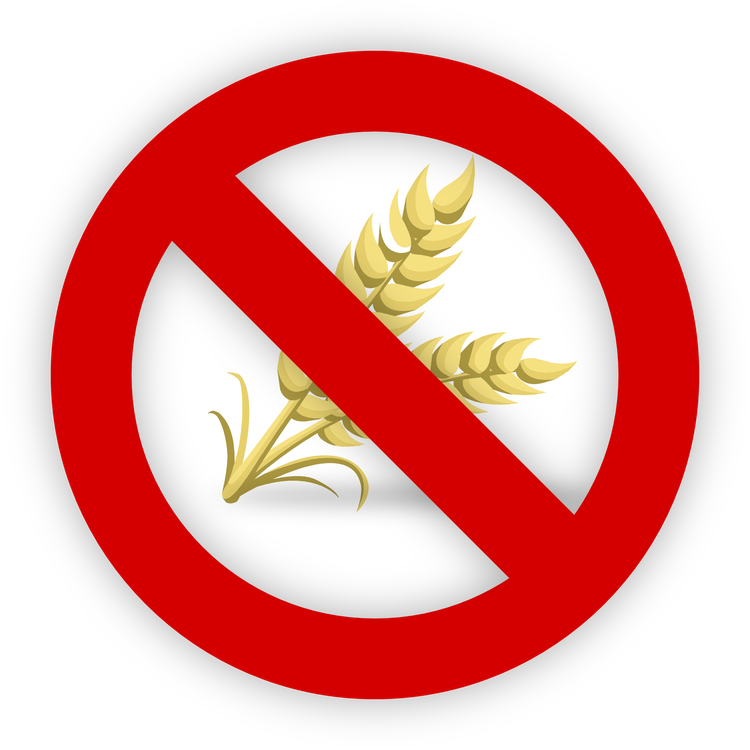 Individuals who have non-celiac gluten sensitivity might also benefit from a gluten-free diet. Researchers from Singleton Hospital provided some evidence to this fact by stating that a gluten-free diet reduces the development of other autoimmune disorders in patients with celiac disease. The same study quotes that when a person is diagnosed during the early stages of the disorder, it helps them treat various complications like osteoporosis and lymphoma, and helps them respond more positively to drugs with the help of a gluten-free diet. Avoiding gluten might be beneficial for one’s health, even if a person does not have any of the above disorders. Gluten has a negative effect on the barrier functioning of the intestine, which means it may allow unwanted substances to get into the bloodstream. Researchers from the University of Maryland point out that patients with brain-related disorders are seen to improve their health significantly when placed on a gluten-free diet. Gluten is said to be addictive too. Many people tend to crave gluten-related foods like donuts and bread. This might, on the long run, affect the health of the individual. For individuals who consume a gluten-free diet, it does not provide a lot of minerals and vitamins. Thus, it is important for individuals with celiac disease or non-celiac gluten sensitivity to consult a dietician before starting a gluten-free diet. For people deliberately trying to avoid gluten to get fitter and stronger, it is important to consult a healthcare expert on the subject. The bottom line is that if one does not feel sick after the consumption of gluten and do not experience the symptoms of celiac disease, then there is no reason to eliminate it from your diet. Thompson, T. (2001). Wheat starch, gliadin, and the gluten-free diet. Journal of the American Dietetic Association, 101(12), 1456-1459.
o’Brien, K. (2011). should We all Go Gluten-free?. The New York Times, 25. Aziz, I., & Sanders, D. S. (2014). Patients who avoid wheat and gluten: is that health or lifestyle?. Digestive diseases and sciences, 59(6), 1080. Biagi, F., Bianchi, P. I., Marchese, A., Trotta, L., Vattiato, C., Balduzzi, D., ... & Pellegrino, S. (2012). A score that verifies adherence to a gluten-free diet: a cross-sectional, multicentre validation in real clinical life. British Journal of Nutrition, 108(10), 1884-1888.